The Obama administration marked Labor Day 2014 with demagogic speeches by President Obama in Milwaukee and Vice President Joseph Biden in Detroit—speeches that were notable mainly for the brazenness of their dishonesty and cynicism. Obama and Biden postured as partisans of what they referred to as the “middle class,” even as a number of reports emerged documenting the devastating decline in conditions for the working class under the current administration. In his remarks, Obama portrayed the US economy as recovering at a rapid clip from the economic slump, with unemployment falling and hiring picking up. “By almost every measure, the American economy and American workers are better off than when I took office,” Obama declared. 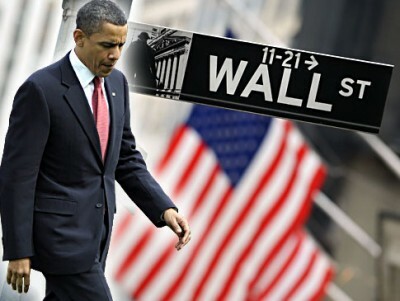 The fact that Obama hails the enrichment of the financial aristocracy in a Labor Day speech reflects the vast chasm separating the political and corporate establishment for which he speaks and the overwhelming majority of the American people. Speaking at a Labor Day event in Detroit, Biden took a somewhat different tack. He presented himself as an opponent of corporate greed and cited statistics reflecting the growth of inequality and decline in the living standards of American workers. “Why do CEOs now make 333 times more money than a line worker, when back when Reagan was president they made 25 times what the line worker made?” he asked. Speaking before an audience dominated by trade union bureaucrats and workers close to the union apparatus, he acted as though the grim picture of conditions for working people he outlined had nothing to do with himself personally or the government of which he is a part. Both events were organized by the unions and had as their principal aim drumming up support for the Democratic Party in the upcoming midterm elections from a population that is increasingly alienated from the entire political establishment. The disastrous economic conditions for working people, compounded by the policies of the Obama administration, were revealed in a series of reports published over the weekend. The National Employment Law Project (NELP) reported that both the number of people working for labor contractors and the percentage of the workforce employed by such companies have hit record highs. According to figures from the American Staffing Agency, more than 12 million people, or ten percent of the labor force, worked for a temporary employment agency at some point in 2013. The NELP report showed that, far from being confined to clerical work, temporary workers are increasingly being employed in industry and warehousing. A record 42 percent of temporary workers are now employed in such industries, up from 28 percent in 1990. Workers employed by staffing agencies are subject to lower wages, making an average of $3.40 per hour less than traditional employees. They are more likely to be injured or killed on the job, according to a recent study published by the American Journal of Industrial Medicine. On Sunday, the New York Times carried a report documenting a series of high-profile lawsuits against major corporations that falsified workers’ time sheets, used accounting dodges to avoid paying overtime or withheld base pay owed to their employees. The article noted that last week a California appeals court ruled that shipping company FedEx deliberately misclassified its delivery drivers as independent contractors, even though they were actually employees, in order to avoid paying them overtime and health and retirement benefits. Schneider Logistics, which provides warehousing services for Walmart, recently paid $21 million to settle charges that it failed to pay workers legally required overtime. “Plaintiffs indicated they often logged 16-hour days every day of the week. Allegedly, they were not allowed mandatory breaks, not paid overtime and did not even receive minimum wage,” said California attorney Deborah Barron. Workers’ wages, meanwhile, are stagnating or falling across the board. The Economic Policy Institute published a report showing that both low- and middle-income earners have seen their wages fall since 2007, while the wages of those with advanced degrees have remained essentially unchanged. The capitalist crisis that erupted in 2008 has been used to drive down the conditions of life for working people. Decent-paying jobs have been wiped out and replaced with low-paying jobs. Full-time work has been replaced by part-time, temporary and contingency labor. Increasingly, corporations have resorted to illegal means to rob workers of wages and benefits. They have been aided and abetted by the Obama administration. The multitrillion-dollar handout to the banks, the restructuring of the auto industry on the basis of 50 percent wage cuts for new-hires, the promotion of “insourcing” by slashing US labor costs are part of a social counterrevolution. These attacks are accompanied by an assault on pensions, employer-paid health coverage, public education and all that remains of the basic social programs enacted in the 1930s and 1960s such as Medicare and Social Security. On this basis, and with the assistance of the trade unions, Obama has presided over an unprecedented redistribution of wealth from the working class to the corporate and financial aristocracy that runs the country and controls both political parties.